In parts 1 and 2 I took a look at the potential failure of the WiiU and XBOX ONE, in Gen 8. 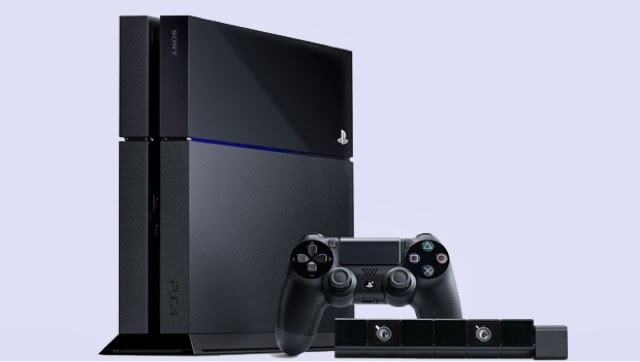 Now it’s time to look at one last entrant the PS4. Let’s be honest the PlayStation series has been a game changer since it arrived in Gen 5, stepping up to take on the gap left collectively by Atari, NEOGEO, and Turbo Grafix. In an era in which console gamer’s were bailing out to go to PC gaming, gamer’s needed something new to place them back in front of their TV’s, instead of their computer monitors. I should know I was one of them, and Gran Turismo was one of the games that bought me back. In Gen 6 Sony gave us the PS2 an innovative multimedia platform, that sold just as many people on the fact that it was a DVD player, as it did on the fact that it was a video game console. Many consider the PS2 the quintessential modern gaming platform and the system that separated the old from the new. The PS2 now holds the record as the longest living platform to still have games made for it just edging out the Atari 2600 in mid-2013. But the era of the PS2 also bought Sony’s stiffest competition in Microsoft’s Xbox. The rivalry between PlayStation and XBox would only get worse in Gen 7 when Microsoft’s XBox 360 beat the PS3 into the stores by nearly a year. Sony took this in stride and hoped to repeat part of the PS2’s success by adding a Blue-ray player to the PS3. But competition remained tight. Of course if you know anything about the PS vs XBox thing you will know the PS devotees always seem to have these low self esteem issues, that will remind you of those of Android users. There’s always these weird almost childish outbursts of “my system is better then yours” that you get from them. Now with Android users I get it since Android is always playing keep up and walking in the iShadows so to speak. But I always wondered why PS users were that way since PS came before XBox and Sony has been a major innovator. Then it hit me, “Kinect”! You see Kinect was the decisive blow in deciding the winner if Gen 7. Wii kicked off the Wireless motion control thing, and XBox gave the final word on it, leaving PS3 to catch up by giving PS3 users ridiculous looking Wii style controllers with green balls on top. 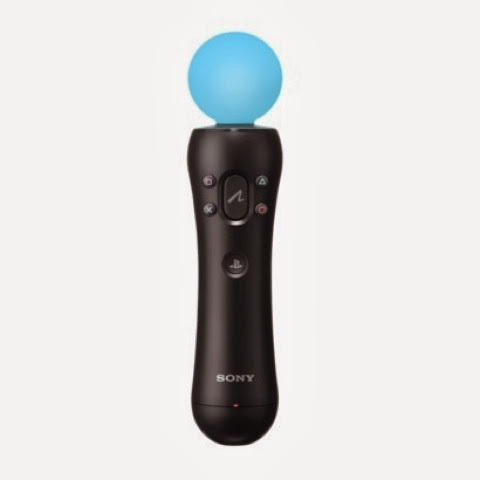 Trust me if I had been a PS3 user in gen 7 using those embarrassing controllers I guess I’d be childishly lashing out at XBox 360 as well. So here we are in Gen 8 and Nintendo has taken an odd side step with the WiiU, XBOX ONE is a step forward yet a creepy one at that, and PS4 doesn’t look all that different from PS3. Obviously all these systems have improved graphics and smoother game play, and the Xbox and PS have continued to offer more internet techno goodies the systems can do besides playing games. But what exactly does the PS4 have to offer to make it a survivor in Gen 8? Let me sum it up, PS3 lost in Gen 7 because it didn’t have what XBox has. In Gen 8 PS4 may walk away the winner because it doesn’t have what XBox has. You see the Kinect has gone from being a cool device that’s a lot of fun to play with while making you look like an idiot in your living room jumping around, to a slightly sinister robot eye always on and always watching. Not to mention Microsoft’s insistence that XBox One must have a connection to the internet at all times for XBox Live has folks a bit worried about X1’s “Big Brother is watching” potential. So PS4 may actually benefit from the fact that instead of going over the top as Microsoft has gone with X1, it had almost chosen to make PS4 a more modern and powerful version of the root PS3. But this may in time backfire since in the 6-7 year lifespan of a console generation there can be a lot of surprises much like Kinect was in Gen 7. Microsoft could after feedback allow X1 Kinect to be shut down, and X1 itself to only be online to update occasionally, not to mention Microsoft could also back off on its non-transferable games issue. Although I think we all know Microsoft isn’t keen on listening to customer feedback or admitting it made mistakes. For me I think the future looks bright for PS4 in Gen 8, but if Sony wants any kind of chance on gaining in Gen 8 it’s going to have to be more innovative, and a leader in innovation at that. After all if Microsoft should get serious as it did in Gen 7, and there is a another Microsoft “surprise”, it could permanently put PS in second place in all future generations. Overall I believe each platform is bringing some impressive tech to Gen 8, but at the same time they are also all bringing some impressive caveats as well. I think PS4 will push its way through based on its Vanilla flavor approach of being a system thats relatively simple in comparison to its contemporary’s. Yet at the same time the techno push and/or gimmicky offerings of PS4 competitors may be a gamble in their favor.